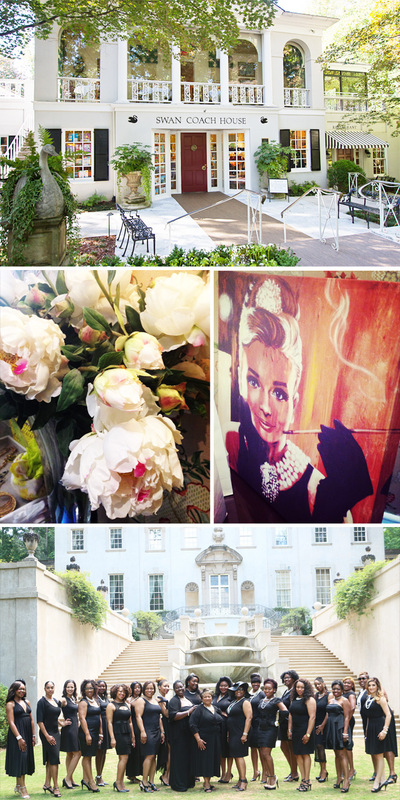 On a sun-kissed day in May with the historic Swan House garden mansion as the backdrop and inspired by the grace and elegance of Audrey Hepburn, a group of lovely ladies converged for an intimate afternoon brunch unlike any other. Held at the fabulous Swan Coach House in the heart of Buckhead in Atlanta, and commemorating its 2nd spring season, the Breakfast at Tiffany’s Soiree is an annual social luncheon that’s all about bringing women together in a celebration of sisterhood; encouraging and supporting each other; all in the name of glam of course. This year’s Soiree was co-hosted by my lovely dolls, Alicia (Ally McGlam), Talesha (Diva Xpress), and Kiwi (Kiwi the Beauty). Guests of the event were treated to dainty surroundings and decadent servings while being serenaded by the Breakfast at Tiffany’s movie soundtrack and other fun 60’s era tunes. Upon arrival guests were greeted with tasty mimosas before entering the Swan Room where posh personalized place settings awaited each of them. I must say that the brunch menu at Swan Coach House was absolutely uh-mazing! We enjoyed their signature chicken salad that was served in delicate hand-made timbales with the most dee-licious creamy frozen fruit salad this side of heaven. But the piece de resistance was their French Silk Swan dessert (clutches pearls…). This tasty delight features a scoop of chocolate mousse wrapped in Chantilly whipped cream and topped with a sprinkle of silver almonds and a cute swan-shaped pastry. It was sooo delish!!! Fabulous Tiffany & Co boxes served as the centerpiece for several giveaways featuring gifts by Stella & Dot, Miss Jessie’s, Karen’s Body Beautiful, and Jewel Mint. Soo Soo Tasty also provided sweet surprises wrapped in tiny Tiffany-inspired boxes. Too cute! And, a few lucky ladies walked away with the events most crave-worthy goodies, the coveted little blue box featuring fabulous gifts from Tiffany & Co! Kisses to my diva dolls Alicia, Talesha, and Kiwi for co-hosting this years’ event! Huge hugs to Stella & Dot Independent Stylist Carol McKnight for providing that fabulous assortment of jingle jewels for the ladies. Thanks also to Miss Jessie’s for the gift bag goodies, and smooches to the fabulous Sophia Starns of Soo Soo Tasty for the yummy take-home treats! Thanks to E37 Photography for capturing all the candid moments, and Marks Media for the amazing video! 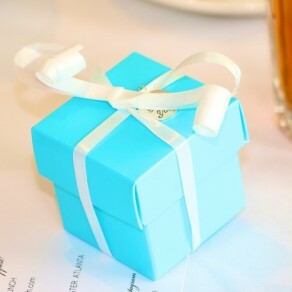 Special thanks to Tiffany & Co for the fabulous gifts…the ladies loved them all! Last but certainly not least, thanks to the Swan Coach House for providing the perfect setting for this event. The ambiance was utterly amazing! I can’t wait for next year’s event! 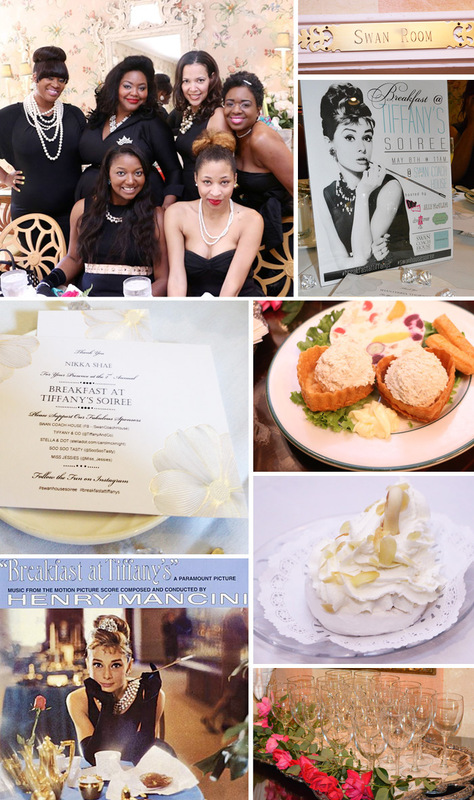 So in the spirit of all things chic and without further ado, here’s the video highlight of the Breakfast at Tiffany’s Swan House Soiree at Swan Coach House!